Today my 2 toddlers (aged 1 and 3) sat down and played with a beautiful new story app, Milli the Snail. Most of you know that I am a huge fan of children’s books, especially picture books, so it probably comes as no surprise that I am loving some of the fantastic eBooks for children that are out there. 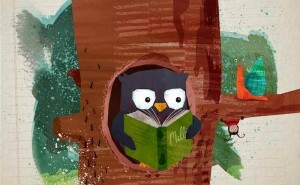 As with picture books, I look for a great story, beautiful pictures, and kid friendly language (rhyme, repetition etc). Milli the Snail ticks all of those boxes. 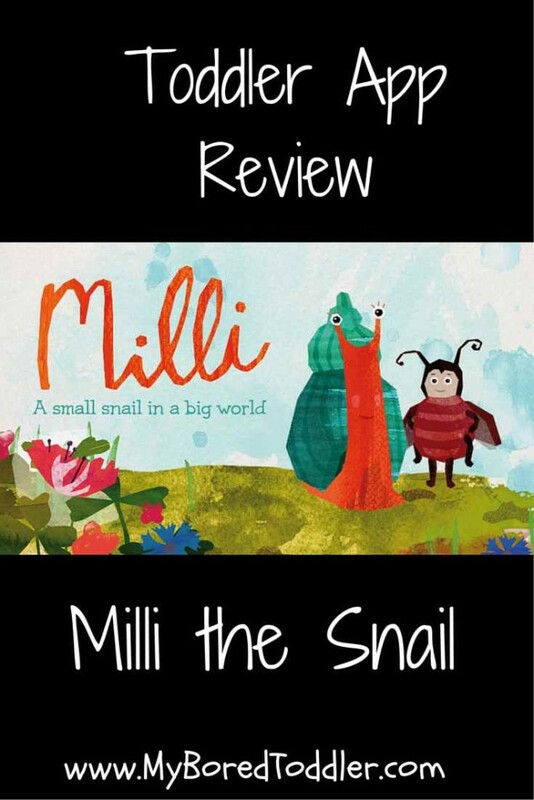 The story follows Milli the snail on a quest to find out what she does best. 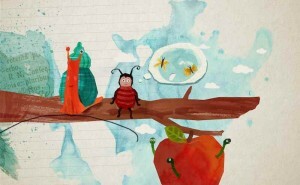 She takes her best friend, Miro the ladybird, and a lovely adventure begins. Along the way she meets and helps out lots of other animals including Wanda the owl and Leon the chameleon, discovering that helping others is what she really does best. It is a lovely rhyming story, and one that older toddlers and preschoolers will enjoy (I would recommend for ages 2 and up). Each page contains beautiful images, that have been hand painted with water colors and potato stamps (yes really – potato stamps! ), giving an Eric Carle feel to them. The story is nicely narrated, with the option to turn this off and read it yourself, and has some lovely music. It is available in English and German. The interactive element is minimal but nice, and is just enough to provide entertainment for your toddler without taking away from the story. Each page has a few items that your toddler can click on, and there are some mini games throughout the book. The story is quite long so for most toddlers this is a story that will need to be read in two parts in order to cater for their ‘not so great’ attention spans!. We used this app as a bedtime story, reading it over two nights, and we will definitely be reading it again. Overall I think this is a lovely story app for toddlers. If it was a print book I would definitely read it to my children, and I think that it works well as an eBook app. This is a paid app (approximately $3 depending on where you download it from), but it is completely ad free and has no in app purchases. « Toddler Fun Friday #8 Crafts recipes and more! Great review! I love the illustrations, sounds like a great app. This looks lovely! I must have a look at it for my son.